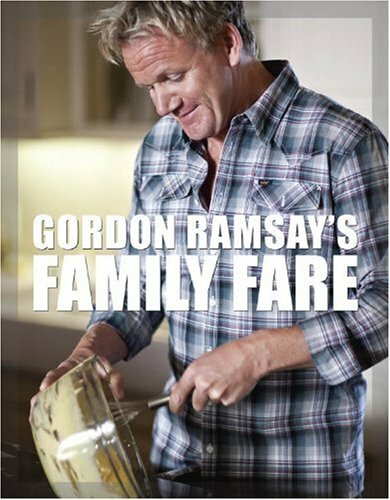 In his new cookbook, superstar chef Gordon Ramsay takes a more casual approach to fine dining--the leisurely brunch with family and friends. Drawing on different culinary traditions, he offers home-cooked dishes that range from traditional roasts to lighter summer fare, from easy 30-minute meals to Italian, Indian, and Moroccan-influenced family feasts. As always, Ramsay is right there to help at every stage--buying the ingredients, guiding in preparation and serving, and helping to ensure that all dishes arrive on the table at the same time. Featured are 25 menus derived from his popular TV show, The F-Word, each with a starter, main course, and dessert, plus an invaluable timetable and a plethora of handy hints. Alternative recipes and menu suggestions are provided for those who want to pick and choose. With spectacular color photography throughout, as well as expert culinary advice and techniques, the book is a must-have for any home cook.